“Fan fiction” is a term that describes stories about characters or settings written by fans of the original work rather than by the original creator. Fan fiction is rarely commissioned or authorized by the original work’s owner, creator or publisher. Writers of fan faction assume that their work will be read by other fans of the work that inspired the creativity and so readers of the fan fiction are expected to have some familiarity with the characters, setting, plot, etc. of the original work on which the fan fiction is based. Fan fiction isn’t a new phenomenon. According to Wikipedia, the Bronte sisters wrote fan fiction, as did readers of Alice in Wonderland and Sherlock Holmes. Fan fiction has been very popular in the sci-fi genre, and it really got a boost in response to Star Trek. The Internet gave rise to an increase in fan fiction. One statistic states that fan fiction comprises one third of all content about books on the Web. There are fanzines and conventions and Internet sites like www.fanfiction.net for publishing, sharing and reviewing fan fiction. Though it seems innocent enough, fan fiction has given rise to controversy. Some argue that it’s plagiarism while other claim that fan fiction, or at least the nonprofit variety, falls under the fair use doctrine. Lucasfilms Ltd. has taken action to control the use of Star Wars characters in fan fiction while J. K. Rowling has given the nod to writers of fan fiction based on her characters. A new effort launched by Amazon.com in May, 2013, is designed to give a forum to fanfiction writers while guarding the intellectual property rights of the original works’ creators. Kindle Worlds allows fan fiction stories of certain licensed media properties to be sold in the Kindle Store provided the writing meets certain conditions. The fan fiction writers and the creators of the licensed work are both compensated, as is of course amazon. The issue of fan faction recently came up in a Facebook group to which I belong and the general consensus seemed to be resentment. I suppose if someone were making a mint from fiction based on my characters I’d feel differently but for now I cherish the fan fiction that’s been inspired by The Lost King and The King’s Ransom. For one, I find the mere fact that my writing spurred that initiative in someone else to be validating. Isn’t awakening creativity in someone else about the highest compliment an artist can be paid? I’ve also learned a lot from the fanfic written about King Bewilliam and his world. It’s like someone held a mirror to my character, turned it at an angle and showed me a different side. I have in turn been inspired by the added dimensions that I see the character can have, the different paths that he can take. Because fanfic writers have their unique style, my character has had a chance to play in different arenas. 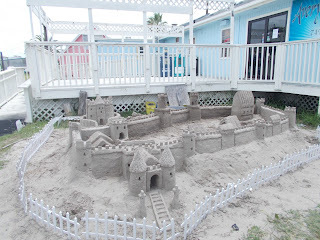 A fan of my novels who is a sand sculptor created his interpretation of King Bewilliam’s Bell Castle. 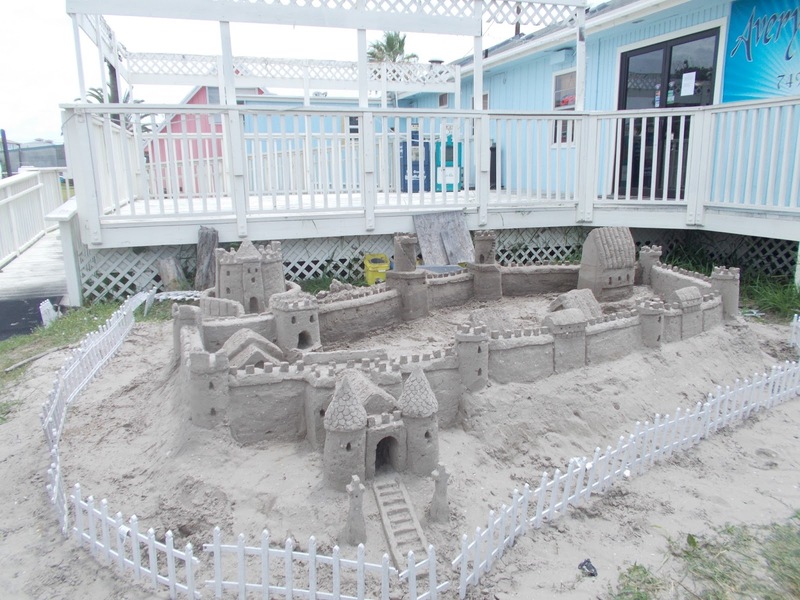 Is a sand castle fan “fiction,” plagiarism, fair use or something else entirely? Whatever it is, I find it complimentary. Not only that, in my writing I have imagined what buildings are on the castle grounds and describe the rooms’ interiors but haven’t given much consideration to the buildings’ exteriors. Frankly, I’m eager to see what they look like. So is fan fiction, like imitation, the sincerest form of flattery or is it theft? Winner of four National Novel Writing Month marathons, Devorah Fox has written for television, radio, magazines, newspapers, and the Internet. Publisher and editor of the BUMPERTOBUMPER® books for commercial motor vehicle drivers, she is also developer of the Easy CDL apps for the iPhone and iPad. She has written test preparation guides for Barron’s Educational Series, Inc. and edited books for Techni-Com, a Canadian publisher, as well as several novels. Born in Brooklyn, New York, she has lived in Port Aransas, Texas, since 2005. Secretary of the Rockport Writers Group, Fox writes the “Dee-Scoveries” blog at http://devorahfox.com and column of the same name for The Island Moon newspaper. She wrote her first novel in the third grade and has written several more since. The Lost King, a literary fantasy, is her first published work of fiction and its sequel, The King’s Ransom, is her most recent. What do you think of fan fiction? Give your opinion in comments below.